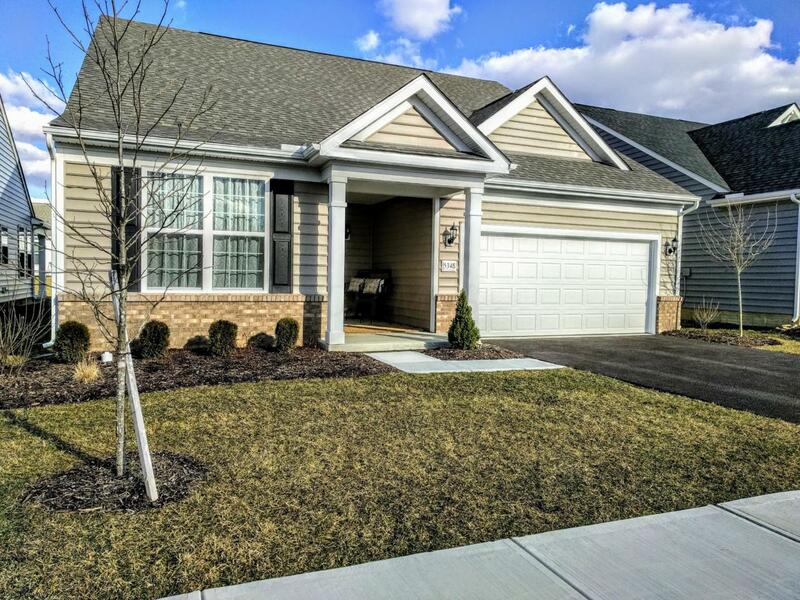 2 story condo home in new subdivision, Reserve at Eagle Trace. Newly built, low maintenance exterior, fall of 2018. 3 bed, 3 full baths, den, open concept 1st floor LR/DR/kitchen. 1st floor master suite, large 2 sink vanity, tiled shower, separate toilet room, large walk in closet. 1st floor laundry and guest BR is next to 1st floor br. Gas burning FP on 1st floor with upgraded mantle. Kitchen with stainless steel appliances, gas stove, upgraded gray cabinetry and white quartz countertops in kitchen and baths. 2nd floor BR, full bath and family room. Home on upgraded lot, no other homes on opposite side of street.